If you’re a teacher with a First World War project coming up, we’ve got some ideas and resources that might help! There are so many different aspects of the Great War that you could focus on, but here are just a few ideas that could help bring this period of history alive for your students. Click the button below to request a free sampler of A Secret Diary of the First World War to be in with a chance of winning a class set! 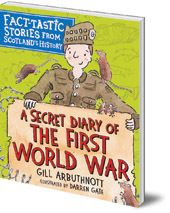 A Secret Diary of the First World War is inspired by the real-life diary of Scottish boy soldier James Marchbank. Each easy-to-read chapter mixes James’s story with timelines, letters, diagrams and illustrations to create a fact-tastic account of the First World War, which is both fun and emotionally engaging for younger readers (recommended for ages 7 to 10). 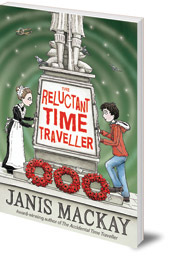 The Reluctant Time Traveller is a fictional novel set in the Scottish borders in 1914, just before the onset of the First World War. Saul and Agnes have time-travelled from the twenty-first century and encounter the realities of life on what will soon be the home front. The book introduces children aged roughly 8 to 12 to the fascinating detail of life in 1914, but it does it through the eyes of modern children who your pupils can relate to and engage with. 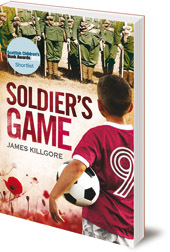 Soldier’s Game offers a great way to engage football fans in your class with the Great War because it brings the two subjects together into a gripping fictional novel for 8 to 12 year olds. The book interweaves the present day life of an ordinary football-mad boy with a story of young men who volunteered for war. The author focuses on the friendships that develop as the lads play football and learn to become soldiers together, making this remarkable story enjoyable and really accessible for young people. Packed full of ideas for class and individual activities, our activity sheets offer fresh approaches to bringing the First World War to life in your classroom. Visit our Features for Teachers page for a full list of classroom resources. Gill Arbuthnott (A Secret Diary of the First World War), Janis Mackay (The Reluctant Time Traveller) and James Killgore (Soldier’s Game) are extremely experienced presenters and have done many engaging primary-school visits. 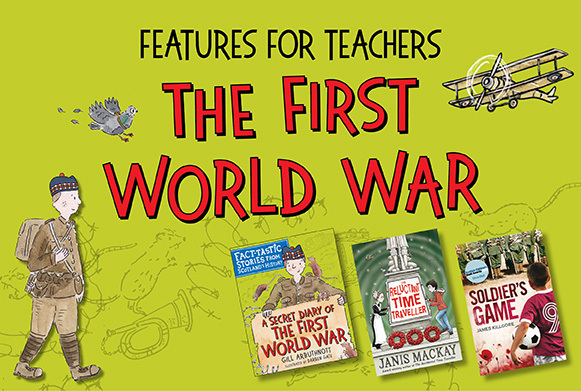 They can all talk to your students confidently and knowledgeably about the First World War, drawing on aspects that are featured in their books. Find out more about how to invite an author to your school or library on our author events page.